As the winter solstice quickly approaches, your customers will find themselves turning on lights earlier and taking out the trash in the dark. On the shortest day of the year, there’s usually just nine hours of sunlight. 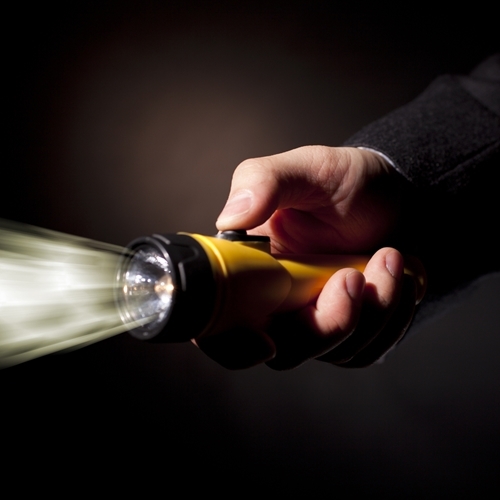 Chances are that people in your community could use an extra flashlight around the house during these short days. If you’re looking for a useful promotional item to give away this winter, consider purchasing some lighted products that will help your customers navigate the dark mornings and nights. Custom flashlights are a great option for hardware stores, realtors, electricians and other small businesses. The Promotional Lantern Flashlight is a slim and compact option to light up your customers lives. The bright light is easy to store in a glove compartment or purse, so it will always be on hand when your clients need it. It comes in three different colors and can feature your brand’s logo along the side. The Mini Aluminum Camouflage LED Flashlight is a great gift for hunters and hikers. It will fit right into your customers’ pockets and it’s powerful, thanks to nine LED bulbs. Key chains are smaller promotional items, but they’ll still shine brightly in your clients’ minds. There are many different styles to choose from, all of which are easy to customize. The Pebble Personalized Keylight comes in a variety of colors and is compact enough to fit in your pocket. It’s perfect for those dark nights when your customers can’t get the key in the lock or have to navigate through a dim garage. The Promotional Mini Tool Kit Key Chain is a perfect product for construction companies to give away, as it contains both a flathead and Phillips head bit, in addition to a bright LED light. If you’re more of a promotional pen type of company, there are a number of great multi-purpose pens you can give away to customers. The Vidal Triple Function Digital Pen will be appreciated by tech-savvy clients. It’s a flashlight, stylus and pen all in one, plus you can customize it with your company name and logo on the cap. The high-quality pen is a great gesture to show your customers that your appreciate their business, and it will keep your services in their mind.